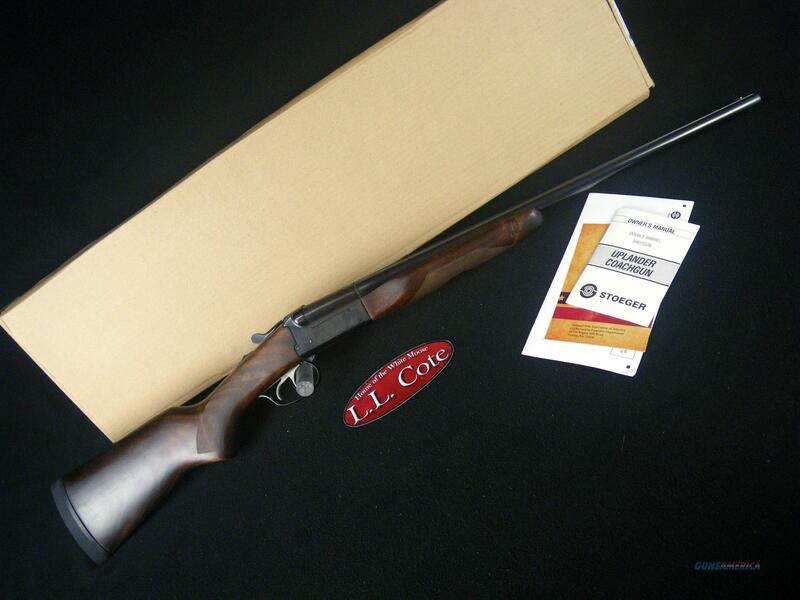 Description: You are bidding on a Stoeger Uplander Youth in 410ga with a 22" barrel and 3” chamber. The Uplander Youth shotgun is based on a popular English double gun design,but with a short stock and 13-inch length of pull just right for young shooters. And it’s priced affordably, too. Tang-mounted safety automatically engages when the gun is broken open. Find a Stoeger dealer today and take home an Uplander Youth shotgun with timeless design at a price that’s right for your wallet. Both barrels are fixed Full choke. Displayed images are stock photos. Any questions please feel free to ask (our phone number is in the additional information tab above).